Oscar-worthy performances, an iconic supercouple, and a debut from a young ingénue named Lady Gaga—it’s no wonder there is so much anticipation ahead of this year’s Toronto International Film Festival. As you skip from dinner to premiere to intimate afterparty, here are the six films worth noting, and thematic finds to coordinate your look for each screening. The Buzz: The Spanish supercouple reteam for their ninth film in this twist-filled kidnapping thriller. Cruz plays Laura, a woman who has returned to her family’s Spanish estate for a wedding when her teenage daughter is kidnapped. Laura’s former flame Paco, played by Bardem, helps her investigate the disappearance. The Pick: Express the film’s Spanish passion in these Brian Atwood stilettos, available at Jean-Paul Fortin. The Buzz: Neil Armstrong travelled an historic distance to become the first man on the moon, but the new film from the director of La La Land also emphasises the emotional journey with his family, notably his wife Janet, played by The Crown’s Claire Foy. 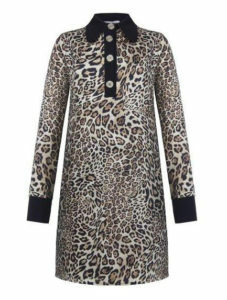 The Pick: A chic, retro-inspired dress—like this Rinascimento one, available at Maska—is always a good idea. The Buzz: Advance word on the remake of the classic showbiz drama has been glowing, at least from two influential early viewers: Sean Penn and Barbra Streisand. The story of an ingénue discovered by a superstar who is battling his own demons is a poetic reintroduction for its two stars, as Cooper makes his directorial debut and Gaga makes a bid for film stardom. 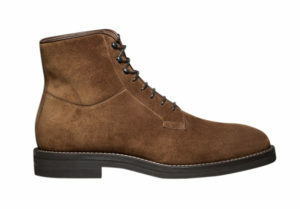 The Find: These Brunello Cucinelli suede boots, available at Via Cavour, are perfect to wear whilst channeling your inner rugged musician à la Bradley Cooper. The Buzz: In small-town 1960s Montana, a couple’s marriage is tested when the husband (a clean-cut Jake Gyllenhaal) loses his job and joins an out-of-town effort to fight a wildfire, leaving his restless wife (Carey Mulligan in a role generating Oscar buzz) to explore adventures of her own. The story, seen through the eyes of their teenage son, is the directorial debut of Gyllenhaal’s Prisoners co-star Paul Dano. The Find: Wildlife might be based in rural Montana, but nothing references mid-century suaveness like a great velvet jacket. 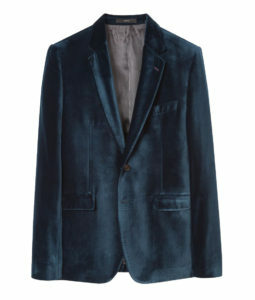 Paul Smith blazer, similar style available at Philip. The Buzz: Montreal director Xavier Dolan recruited a powerful ensemble of actors for his English-language debut, including Natalie Portman, Susan Sarandon, Kathy Bates, and Thandie Newton (in a sign that he may have gone overboard with the star power, Jessica Chastain’s role didn’t even make the final cut). Yet the central relationship revolves around an 11-year-old British child played by Tremblay, who swaps letters with a TV star played by Harrington. The exchange prompts the TV star’s tabloid-fuelled downfall. The Find: This is the much-anticipated movie’s world premiere, so you’ll want to shine in something very glamourous, like this Galvan dress, available at TNT. The Buzz: In fin-de-siècle Paris, Sidonie-Gabrielle Colette’s Claudine novels were devoured. Too bad her libertine husband took all the credit, sparking Colette’s simmering resentment. Kiera Knightley plays the titular star in this biopic from the co-director of Still Alice, the film that won Julianne Moore her Oscar. 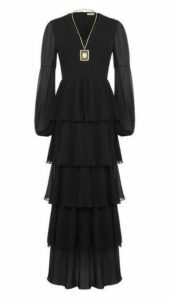 The Find: Full sleeves and a maxi length gives this Rinascimento dress, available at Maska, a more vintage, turn-of-the-century feel. Visit Tiff.net for the full listing of movies and events happening during the Toronto International Film Festival.